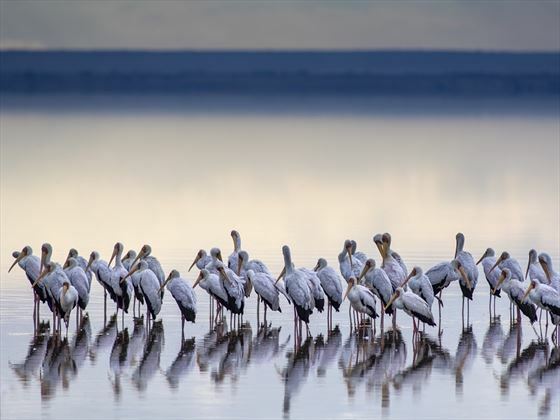 From the heart-stopping wildebeest migration in Serengeti National Park, to the breath-taking Ngorongoro Crater and the flurry of pink flamingo in Lake Manyara, northern Tanzania is a magnificent region filled with splendour and excitement. 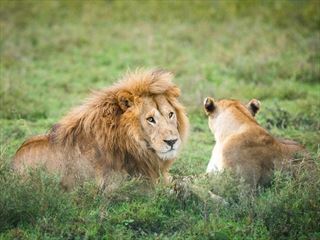 This splendid five-night safari takes you to this region’s greatest areas, embarking on amazing game drives in a multitude of unique locations, including the secluded Tarangire National Park and lunch at the bottom of the Ngorongoro Crater. 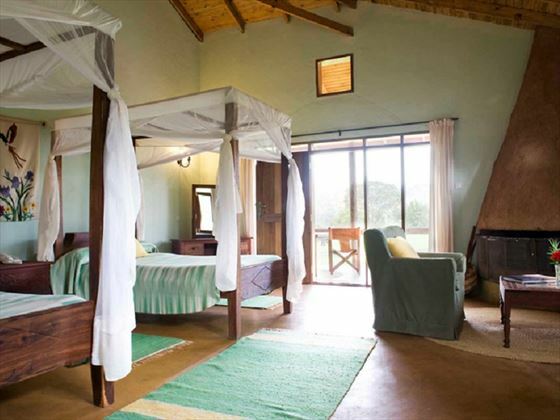 You’ll also be staying at wonderful properties, all adopting a classic safari vibe with a touch of African-style luxury. 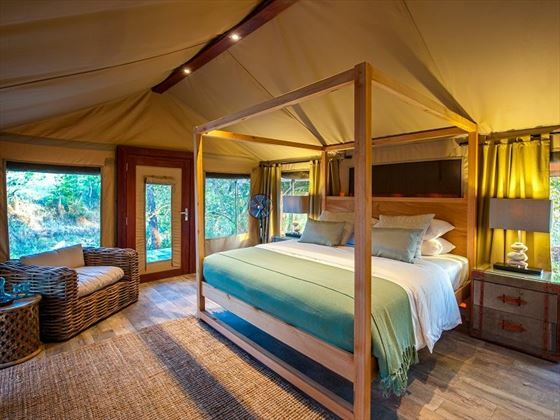 The beauty of northern Tanzania is its ability to truly immerse you in the beauty of the wilderness, and these camps and lodges are no different. After flying into Kilimanjaro International Airport, you’ll be met by a driver-guide and transferred to Nimali Tarangire – taking approximately three hours. 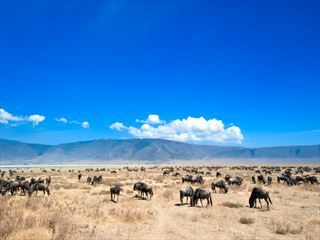 This is your chance to drink in the views of Tanzania’s seemingly never-ending plains, looking out for majestic elephant sauntering and grazing in the sun. Please note – for full itinerary flight arrival needs to be before 2pm. 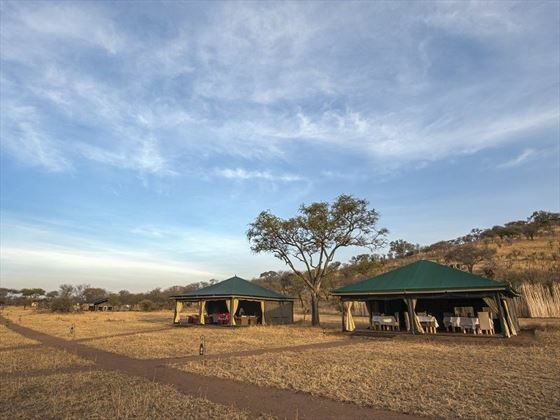 Once you’ve reached Nimale Tarangire, you’ll have the opportunity to embark on an evening game drive in the private wildlife concession that surrounds the camp. Tarangire is well-known for its jaw-dropping population of elephants, which roam alongside zebra, wildebeest, buffalo and impala, giving you a multitude of incredible sightings during your trip. When your game drive is over, you’ll retreat back to Nimali Tarangire for dinner and bed. A secluded camp hidden within northern Tanzania’s sweeping landscape, this luxury property oozes authentic African flair, mixing modern luxuries including your own private terrace and four-poster bed with solar lighting and the desirable feeling of being the only person for miles. After a delicious breakfast at the camp, you will depart with packed lunches for a full day safari through Tarangire National Park. 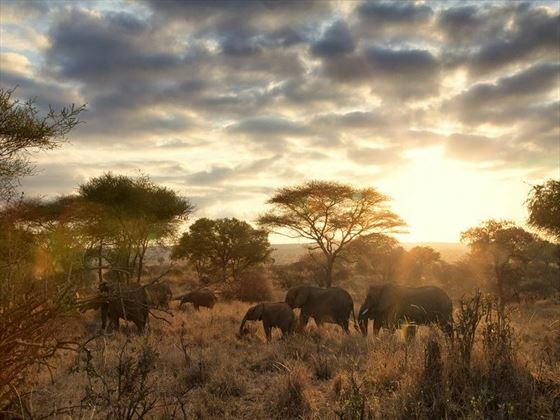 Here, you’ll be amongst some of Africa’s biggest and greatest wildlife. Huge herds of elephant swing their trunks in unison as they search for the nearest watering hole, whilst ginormous wildebeest graze in the shade. Elegant giraffe wander through the baobab trees – their heads poking out of the canopies, and you may even see a stealthy leopard waiting in the bush. Eating lunch out in the wilderness is a wonderful experience too. After your day of exploration, you will head back to Nimali Tarangire for dinner. Wake early for breakfast at camp, before departing by 9am for Ngorongoro. You should arrive at roughly 11am, when you will descend into the Crater for an amazing game viewing opportunity and delicious picnic lunch. 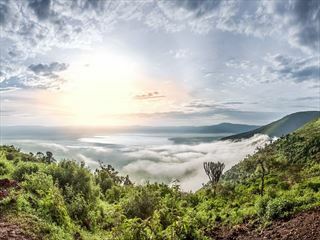 Exploring and dining in the Ngorongoro Crater is a truly unforgettable and unique experience. Home to rhinos, zebras, gazelles and lion, the game viewing here is phenomenal. Later on, you will drive out of the crater and into the Karatu district. 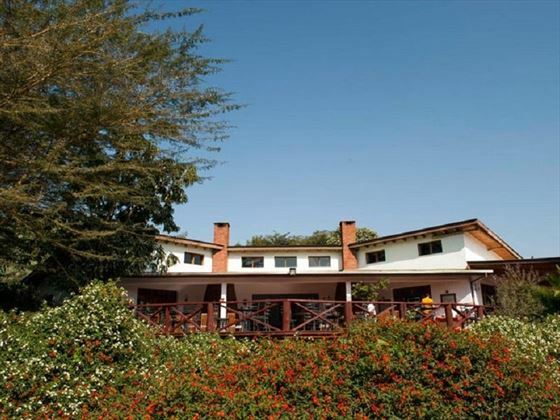 You’ll soon reach your home for the night, Tloma Lodge – a gorgeous property that overlooks the foothills of the Ngorongoro Crater, offering colonial style rooms and an expansive estate brimming with fresh ingredients and plantations. Enjoy breakfast at the lodge before departing at 8.30am for Manyara, arriving at around 9.15am. Your three-hour game drive in Lake Manyara National Park will be packed with amazing wildlife sightings, from magnificent hippo wallowing in the lake, to majestic tree-climbing lions lazing in the branches. Afterwards, you will drive to Manyara airstrip for a quick picnic lunch, before boarding your 1.40pm flight to Seronera. Your drive from the airstrip to Nimali Central Serengeti takes you through Serengeti National Park, an iconic location well known for its annual wildebeest migration. You may be lucky enough to see this phenomenon in action, but if not, the park is still teeming with amazing wildlife, including prowling lions, huge elephants, and over 500 species of birdlife. Once you’ve arrived at Nimali Central Serengeti, you will be treated to a lovely afternoon tea, before another evening game drive and an al-fresco dinner. 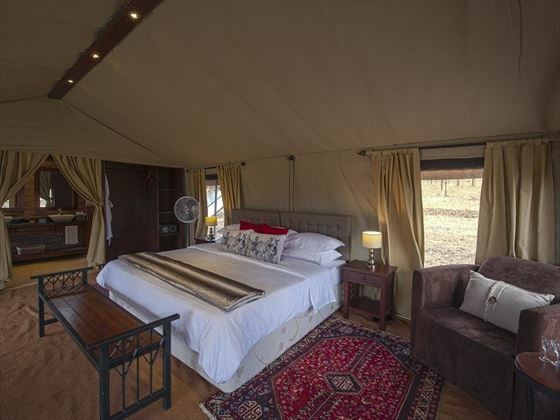 Nestled in the heart of the Serengeti, this charming camp combines the natural wilderness with classic safari vibes, focusing on getting you back to nature – just with a touch of added luxury. After breakfast, you will leave for an early morning game drive – the ideal time to see packs of lion roaming the plains, and endangered black rhino enjoying the cooler hours. 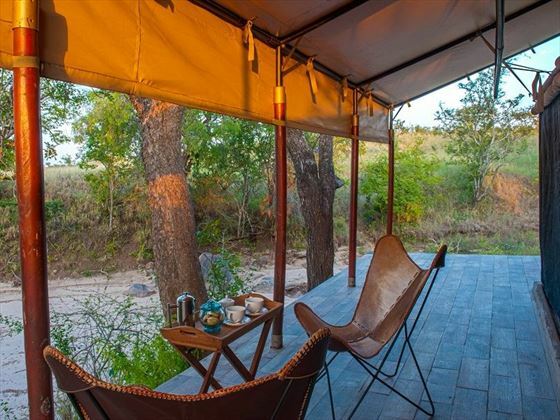 You’ll then head back to camp for a hot lunch and a relaxed afternoon, before embarking on another evening game drive and finishing the day with canapes and cocktail at sunset. Enjoy breakfast at camp before transferring to the airstrip for a scheduled flight to Kilimanjaro (departing at 10:45am to arrive at 12:30pm approximately) for your ongoing flight. After the excitement of staying in luxury tents and exploring the vast wilderness of northern Tanzania, we'd suggest adding on an indulgent stay in the Seychelles or Zanzibar. For internal flights on Safari the baggage allowance is 15kgs per person, inclusive of hand luggage and soft bags must be used. Embark on our impressive Luxury Northern Tanzania Highlights tour before jetsetting to the sun-kissed Seychelles for five nights of relaxation and opulence. Combining the Serengeti and Ngorongoro Crater with Kempinski Seychelles Resort.